SUPERIOR ENGINE DESIGN: Why? Well, for starters, you’ve got one of our legendary Honda engines. Our superior engineering and high quality components make starting convenient and easy – even in cold weather. AUTOMATIC DECOMPRESSION SYSTEM: The automatic decompression system is another secret to Honda’s easy, reliable starting. This system relieves compression in the engine during starting and then closes automatically to ensure full power as the engine starts. 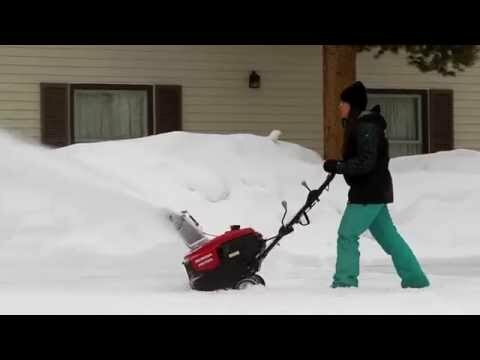 OVERSIZED RECOIL GRIP: All Honda snow blowers come with a heavy duty recoil starter equipped with an oversized grip to accommodate gloves or mittens. ELECTRIC START: For customers who truly need electric start, our “AS” models are also equipped with a 120 volt AC electric starter to make the job even easier. Just plug in an extension cord, push a button, unplug and go. 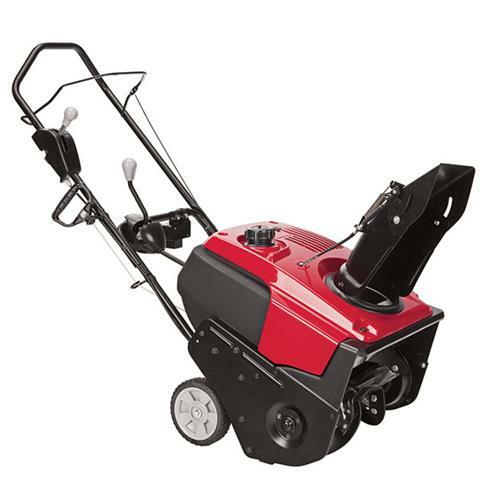 Honda electric start snow blowers have an oversized recoil grip for easy starting when an electric outlet is not convenient.